Here comes another freebie. 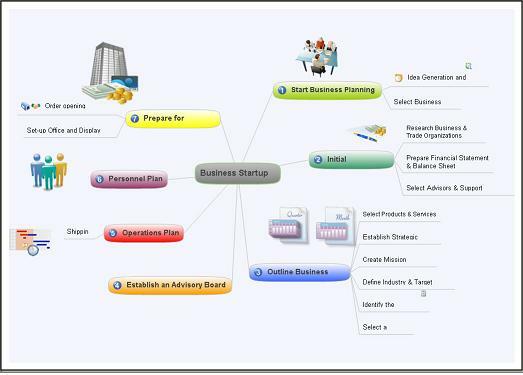 ConceptDraw MINDMAP is tool for creating mind maps, brainstorming and organizing ideas. It works for both Windows and Mac OS X. It supports free hand drawing and multiple page documents. You can use it to efficiently organize your ideas and tasks with the help of Mind Mapping technique. It supports extra file formats, multi-page documents. It offers a rich collection of pre-drawn shapes. ConceptDraw MINDMAP has extended capabilities for creating web sites and PowerPoint presentations. ConceptDraw MindMap usually costs around $200 but you can grab it for free . Its latest version is 6.0 but you can get version 5.5 only for free but thats too a great deal as you will have a full working version and genuine too. You need to fill out a small form with a valid email adress and the license will be delivered to your email address. Use the license key to activate ConceptDraw MINDMAP.